All are invited to the Stations of the Cross performed by the Class of 2019. Wed. April 17th at 1:55 in the church and final stations on Thursday, April 18th at 11:40am in front of the school. 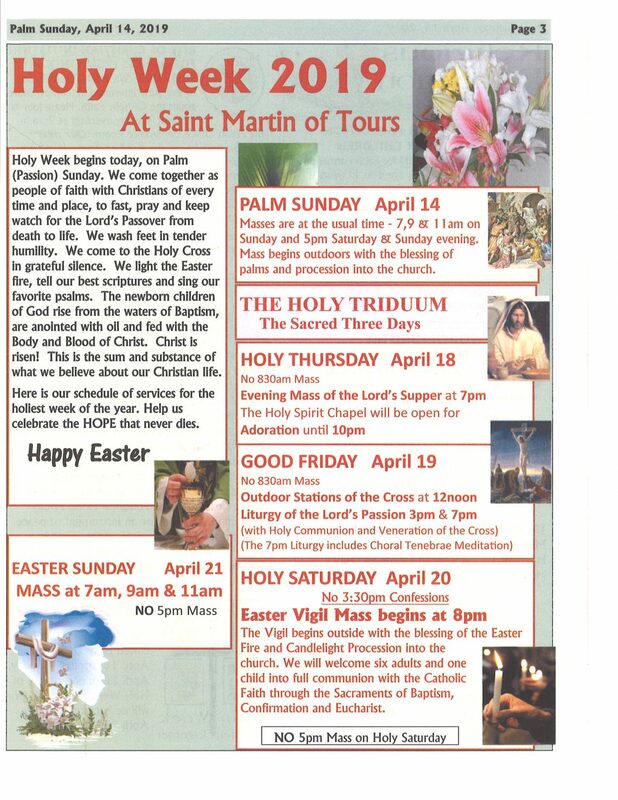 The Holy Week Schedule is listed below.